A western robot survival roguelike. July 2013 - Currently development is on hold until further notice. Responsible for creating all of the location clusters for the procedural location system. Responsible for hand placing cover interactives and AI cues in all locations. 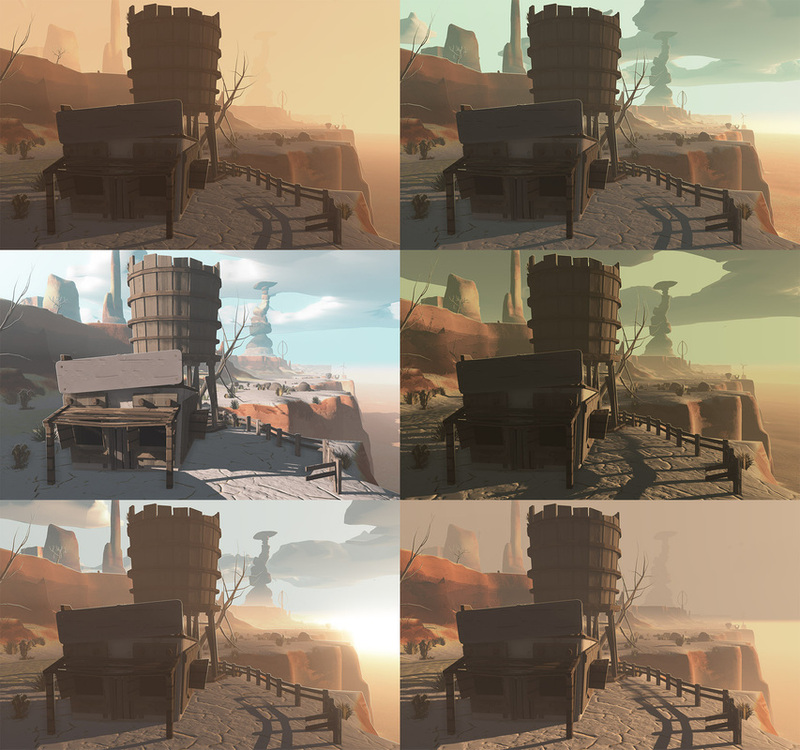 Disclaimer: The Wanderer project is currently in-development (on hold).The images displayed throughout this page are in-production and do not necessarily represent the final quality of the in-game assets. Prototyped the Wanderer collaboratively. The Wanderer was selected as Cadenza Interactive's next project. Created all digital assets in development to date - 2D concept/textures, 3D assets including models. Generating retopologized game assets and generate texture maps from high-poly source content. Responsible for tandem development of voxel based procedural terrain system. Host art and technical asset reviews. Helping to identify, hire and mentor new artists in the art style of The Wanderer. Developed marketing/promotional and business documents/presentations.